It is quite similar to blood plasma and interstitial fluid. It’s present in the ventricular system inside the CNS and in the subarachnoid space surrounding the CNS. It gives a protective cushion between the CNS and the neighboring bones and bathes both the external and internal surfaces of the brain and spinal cord. In an adult, the overall volume of CSF is about 150 ml, out of which only 30 ml is in the ventricular system and the rest in the subarachnoid space. About 80-90% of the CSF is generated by the choroid plexuses inside the lateral ventricles, with staying being generated by the choroid plexuses in the 3rd and 4th ventricles. The process of creation whether by secretion, filtration, or dialyzation, is dubious. The typical amount of CSF created per day is all about 500 ml. The CSF is produced primarily in the lateral ventricles from their choroid plexuses, from where it goes through the interventricular foramina (of Monro) into the 3rd ventricle and after that via cerebral aqueduct into the 4th ventricle. Here the fluid escapes via the median aperture (foramen of Magendie) and lateral apertures (foramina of Luschka) in the roof of the lateral ventricle, into the cerebellomedullary and pontine cisterns, respectively. From these sites, the fluid streams slowly in the subarachnoid space over the brain and spinal cord. Majority of the CSF flows upward via the gap in the tentorium cerebelli and after that forwards, laterally over the inferior outermost layer of the cerebrum. Eventually, it ascends on the superolateral aspect of every cerebral hemisphere to get to the arachnoid villi and granulations which enter into the superior sagittal sinus. The CSF enters into the bloodstream of the sinus via the mesothelial cell lining of these villi and granulations. A number of the CSF moves inferiorly in the subarachnoid space around the spinal cord and cauda equina. Small amount of absorption could also happen in the pial veins. The flow of CSF is eased by the pulsations of cerebral and spinal arteries existing in the subarachnoid space and the movements of the head and spine. It acts as a shock absorber between the CNS and the surrounding bones. It functions as a shock absorber, i.e., it prevents or reduces the transmission of jarring or shocking powers to the CNS. The hydrocephalus is an abnormal escalation in the quantity of cerebrospinal fluid (CSF) inside the skull. Types of hydrocephalus: 2 varieties of hydrocephalus are described: (a) nonconveying and (b) conveying. If the CSF collects inside the ventricular system, the affliction is named internal (non-communicating) hydrocephalus. It takes place because of blockage at some point between its site of configuration in the choroid plexuses and its site of way out via the foramina in the roof of the 4th ventricle. 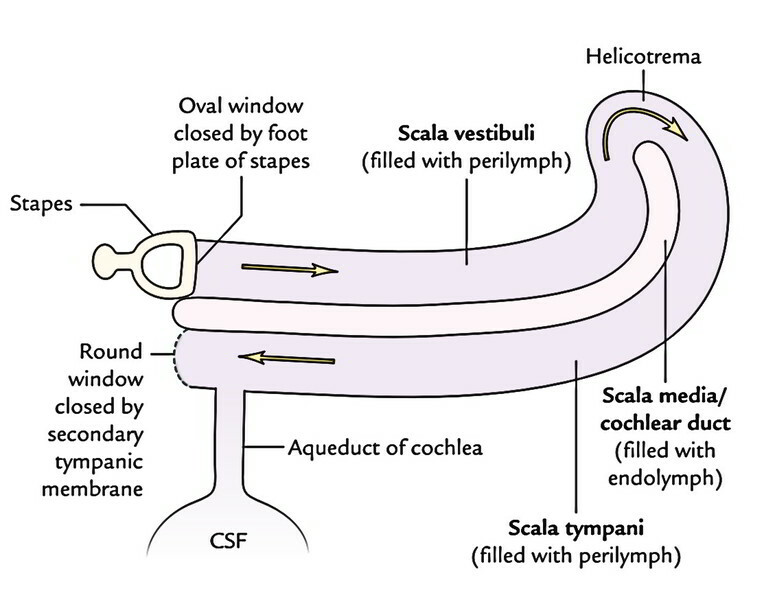 If the CSF accumulates in the subarachnoid space, the illness is known as external (communicating) hydrocephalus, as there isn’t any obstruction inside or to the outflow from the ventricular system. It usually happens because of blockage of arachnoid villi and granulations. Disproportionately large size of the head (increased skull circumference). Enlarged and stressed anterior fontanelle. Thin scalp with dilated scalp veins. Eyes look downward supplying an average setting-sun appearance. Cracked-pot sound on skull percussion. There’s a natural inclination to the arrest of infantile hydrocephalus. The celebrated scientists Cuvier and Helmholtz are cases of arrested hydrocephalus.